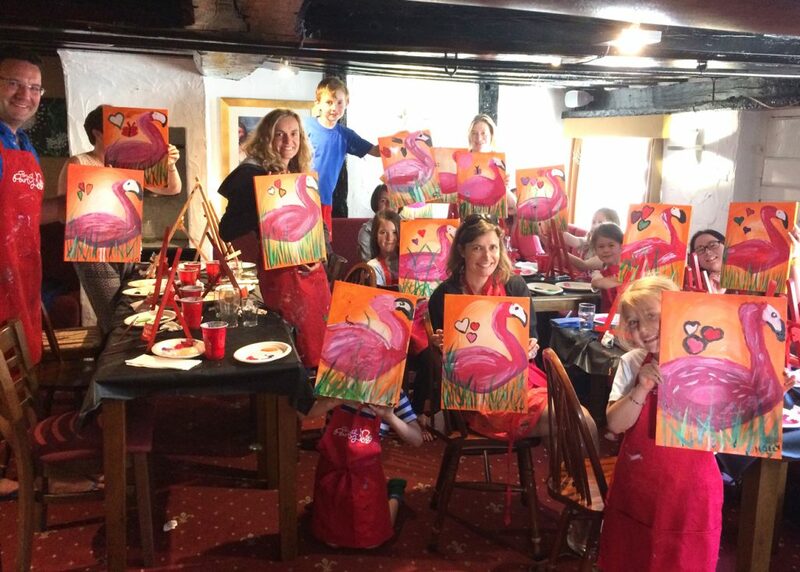 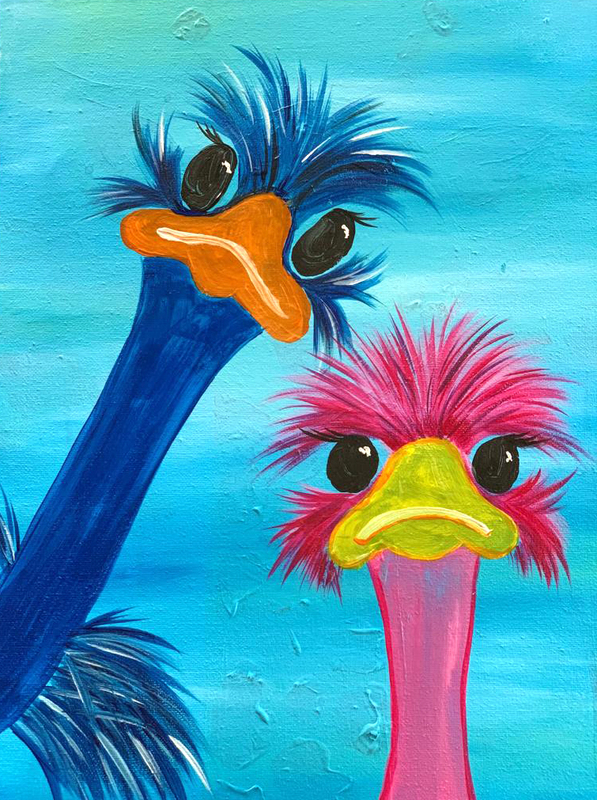 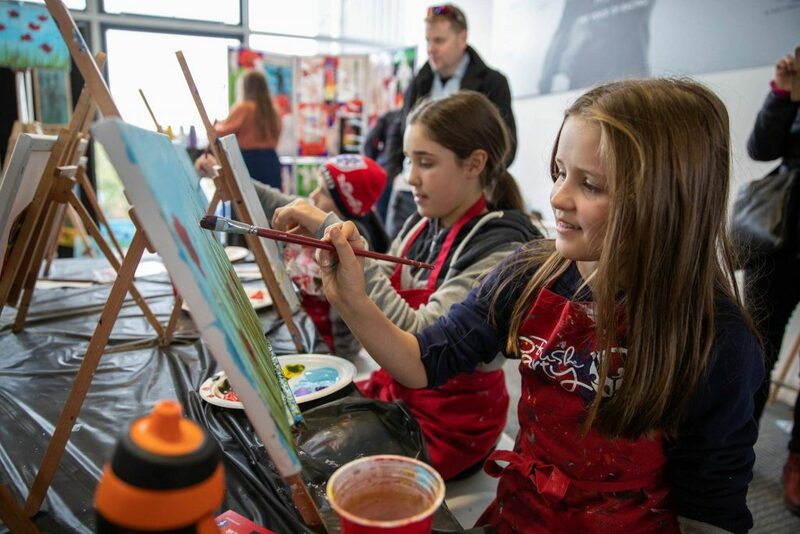 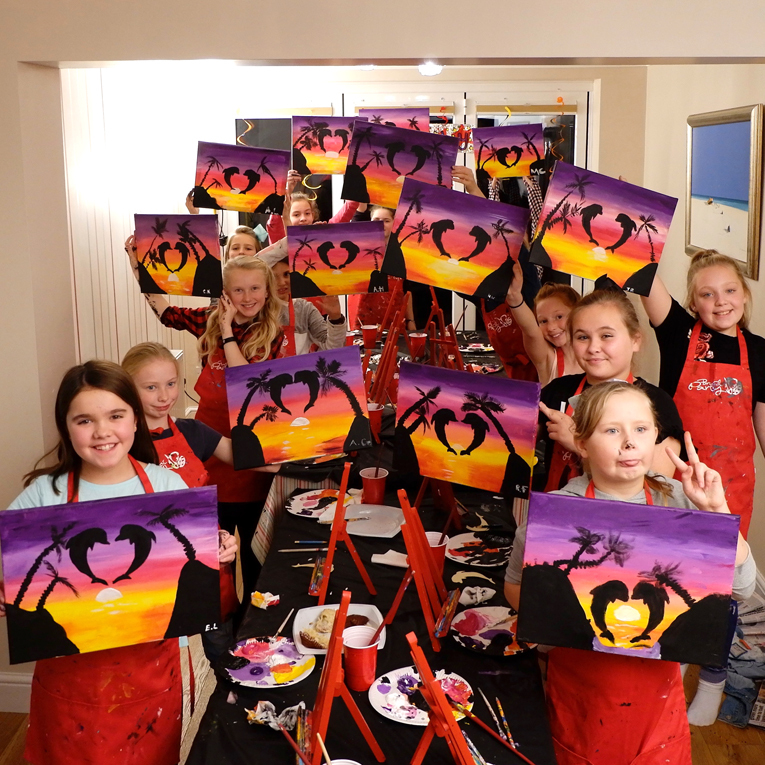 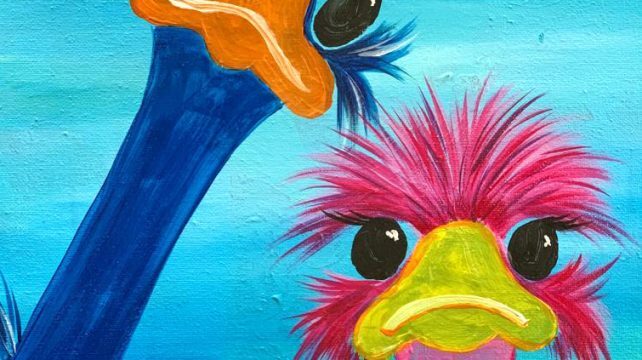 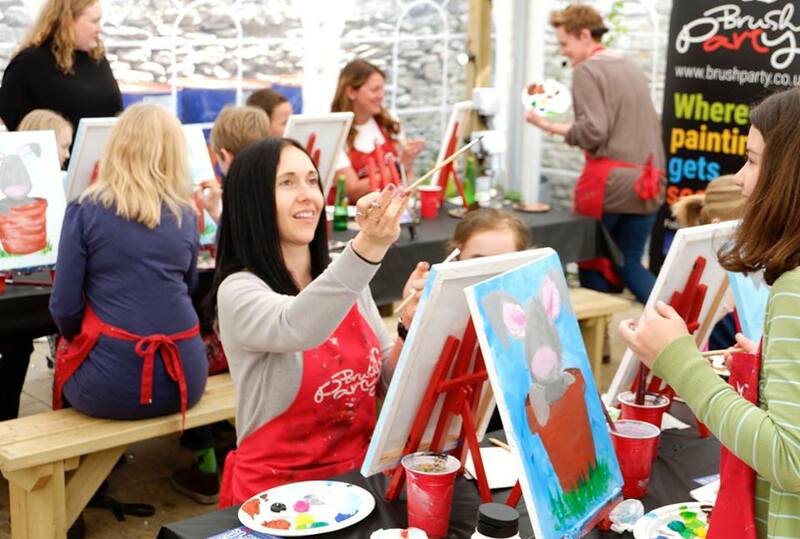 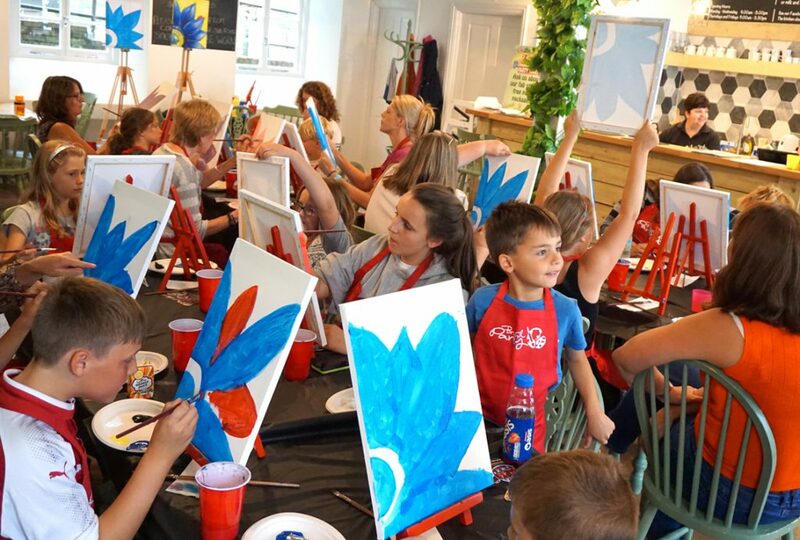 Join us for our ‘Two’s Trouble’ Family Brush Brush Party at Chinnor Rugby Club in Thame on Thursday 30th May at 11am and let us inspire your budding Picasso! 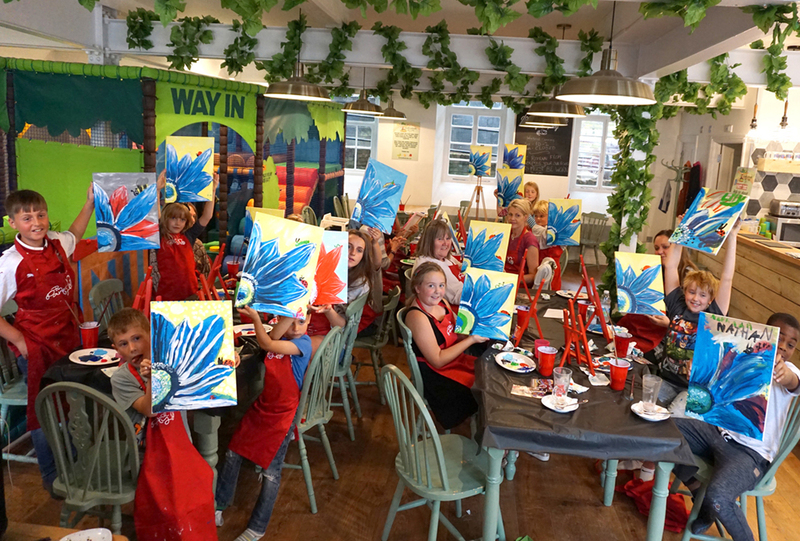 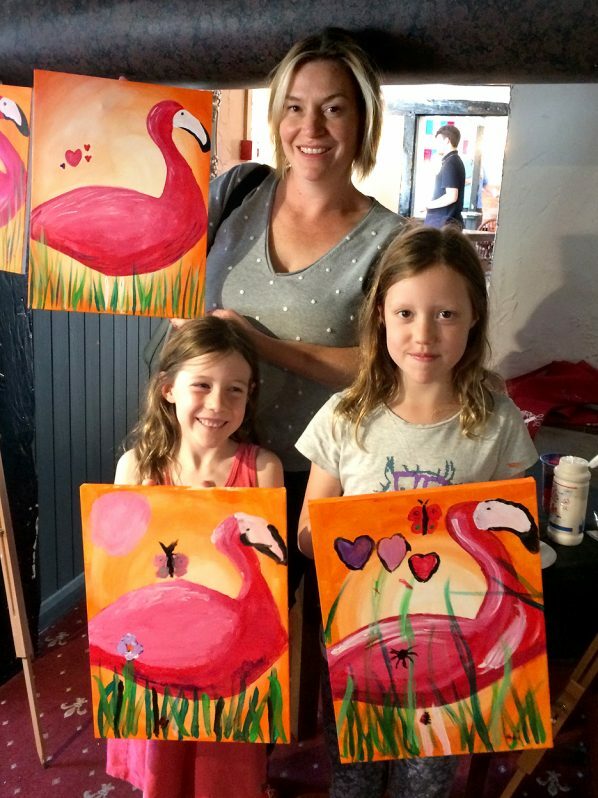 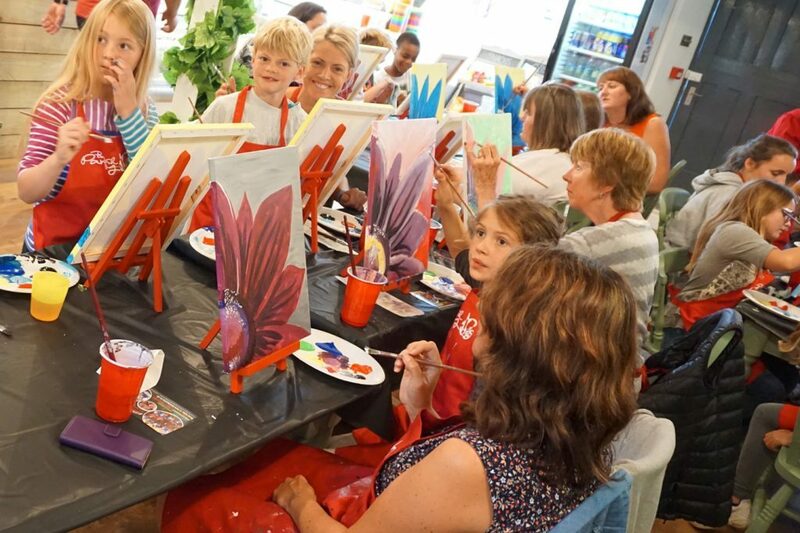 A Family Brush Party is suitable for everyone (recommended for all those aged between 6 and 93, but we are flexible! 😉 Bring your little artist to the Thursday morning event and paint our beautiful pic called Two’s Trouble! 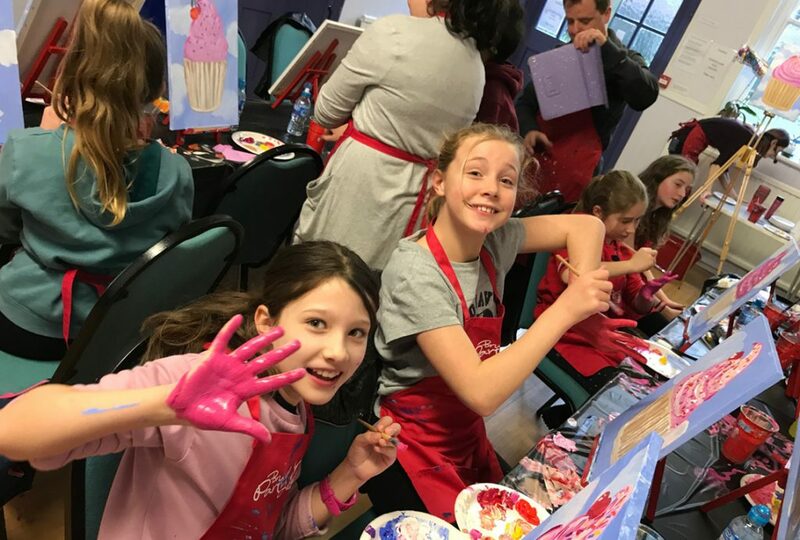 We are not sticklers, we are all for you mixing it up a bit… If you feel confident, you can interpret our instruction any way you wish, that’s fine by us! 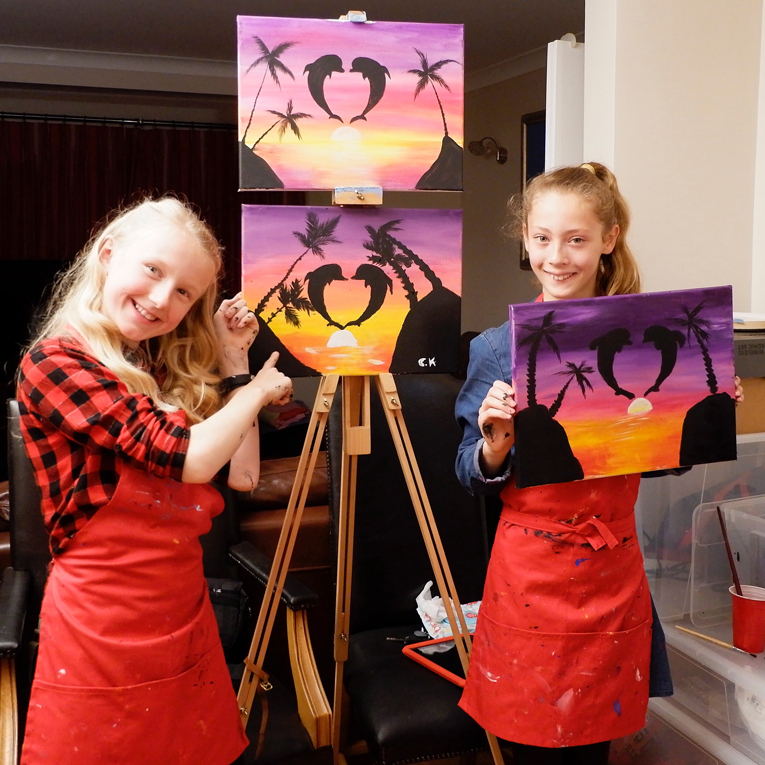 We love it when you go ‘rogue’ – we might even learn a thing or two! 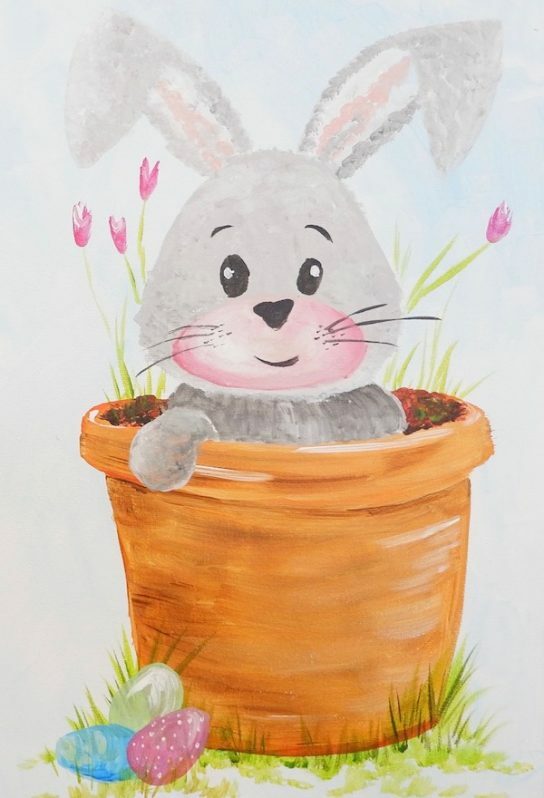 The event starts at 11am but please arrive at least 15 minutes early to get your seat and any drinks you may want etc. 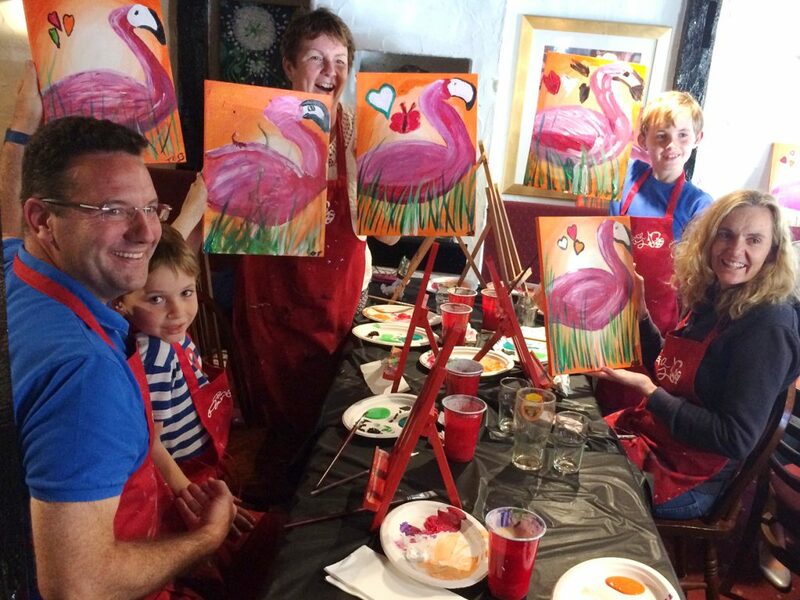 Our family events usually last about 2 hours, but times may vary.